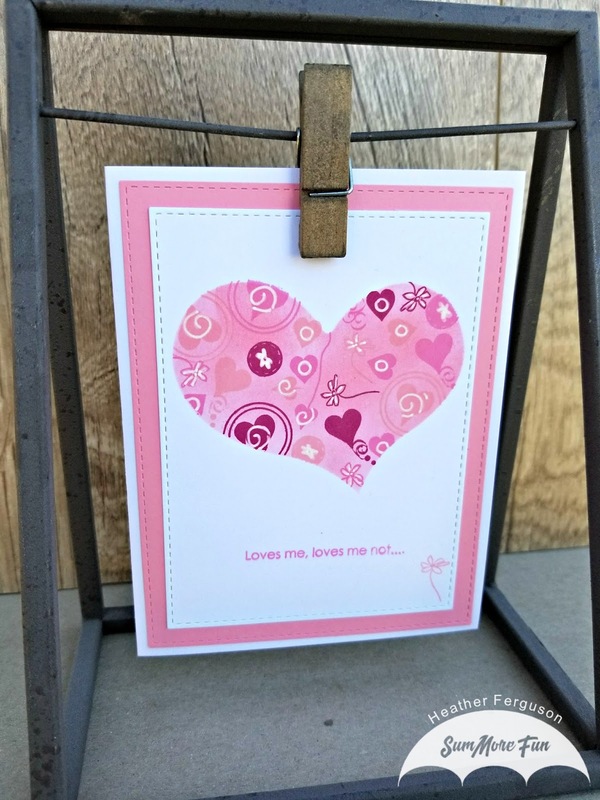 It is my day to take over the SumMore Fun blog, so let's get started on how I made this fun Valentine card. I started with a piece of scrap paper that I die cut a heart from, I then laid the negative piece onto some white card stock and took a bunch of the cute little stamps from the Raisin Boat Playing Cupid set and stamped them all over the heart cut out area with three different pink inks from Hero Arts (Rosie Cheeks, Bubblegum and Raspberry Jam), I then took some Tim Holtz Distress Oxide ink in Worn Lipstick and applied it with an ink dauber over the whole area. 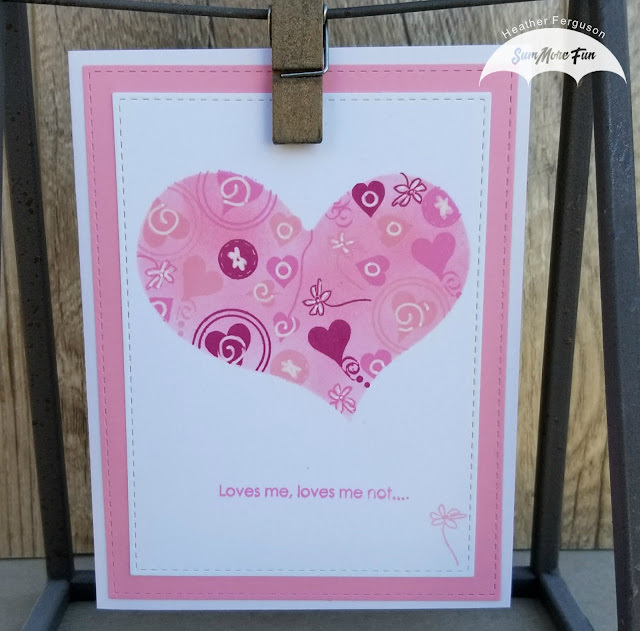 When that was all dry I used a White Gelly Roll pen to add detail to the stamped images and help them pop from the pink background. I then removed the negative scrap paper and die cut the white panel with a stitched rectangle die. 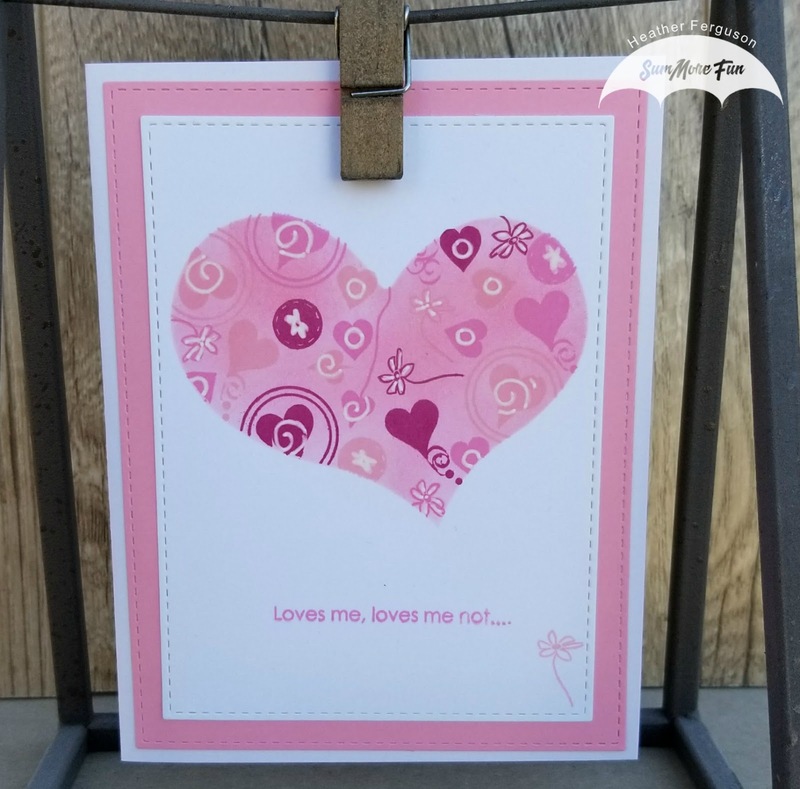 I added a sentiment at the bottom from the same stamp set and then another little flower, I always think of flowers when I hear "loves me, loves me not" and this flower is a perfect fit. I glued the top layer to a piece of pink card stock, die cut with the next size up rectangle die and then glued that down to a white side fold A2 card base. The card is simple but packs a colorful punch. This stamp set offers so much possibility and I am enjoying playing with it immensely and cannot wait to see what else I can come up with. Don't forget our current challenge is still running and we would love to see our projects. 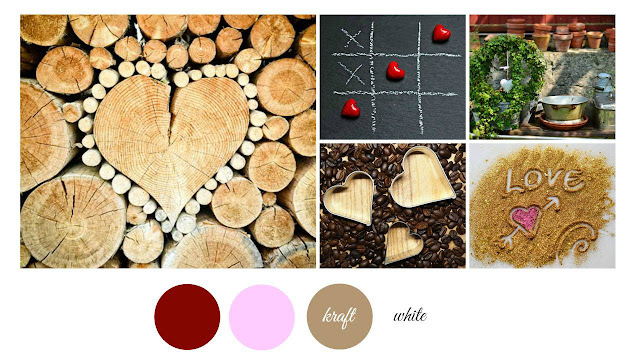 I have included the Mood Board with link below.